Roundabout: When Should I Start Indicating To Show I Am Taking An Exit? 26 Jun Roundabout: When Should I Start Indicating To Show I Am Taking An Exit? 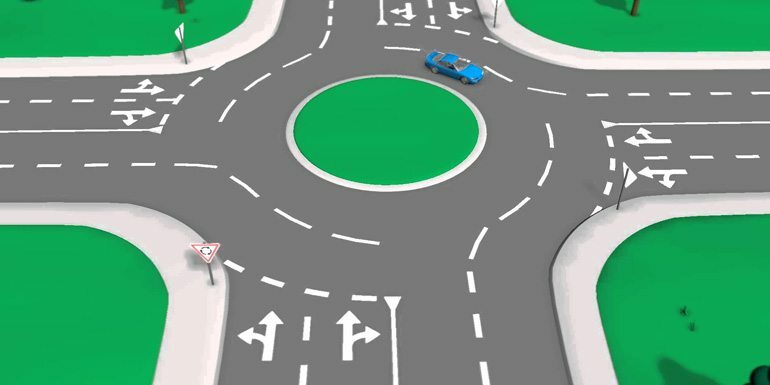 Roundabouts aren’t just tricky for learner drivers, many seasoned drivers with years under their belt can find these sections of road the hardest to manage. Thankfully, there are a number of rules to keep you and your fellow drivers safe. A roundabout keeps traffic flowing only if everyone on the roundabout keeps to these rules. Among these are rules on how to signal on a roundabout. These signalling rules are covered in Section 186 of the Highway Code, but read on for our easy to understand guide which answers the question: when should I start indicating on a roundabout to show I am taking an exit? When turning left on a roundabout, you should already be positioned in the left-hand lane as you approach. You should signal left before you enter the roundabout and keep signalling left as you go around. Only cancel the signal once you have completely exited. When going straight over a roundabout, you should position your car in the left-hand lane (unless road markings tell you otherwise – sometimes they may inform you that the left-hand lane is for turning left only). You do not need to signal before entering the roundabout (unless signalling to get into the correct lane) and should only start signalling as you pass the last exit before yours. This is to inform drivers waiting to join the roundabout that you will be continuing past them; helping to avoid a crash. As soon as you have passed all other exits, signal left to let everyone know that you’ll be exiting at the next turn-off. Only cancel the signal once you have left the roundabout. When turning right on a roundabout, ensure that you are in the right-hand lane on approach, and signal right before you enter the roundabout. Continue to signal as you enter the roundabout, but make sure to cancel the signal as you change lane to approach your exit. Signal left after you pass the last exit before yours. Cancel the signal upon departing the roundabout. Some roundabouts are very large and have many exits. If not taking the first left, going straight over or turning right, you should follow these rules. Firstly, position your vehicle in the correct lane on approach to the roundabout. If you are taking an exit beyond straight over, you will likely need to be in the right-hand lane and should signal right too; but, as always, use the road markings to be absolutely correct. Road markings will also let you know if you should alter your position while going around the roundabout. 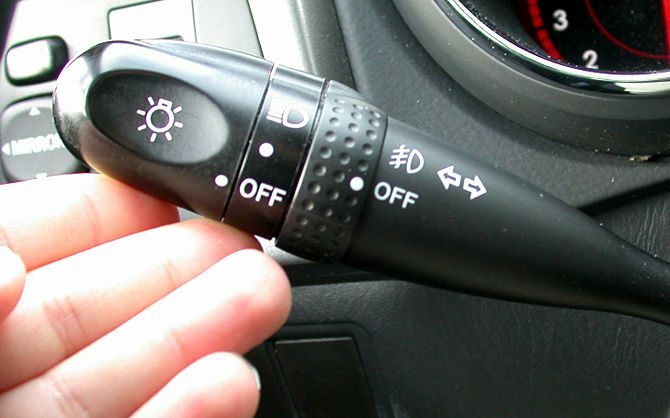 As soon as your exit is next in sight, ensure you are in the left-hand lane and signal immediately. Once again, only cancel the signal after you have left fully. We hope this guide to signalling on roundabouts helps. If you’re ever in doubt, make sure to read Section 186 of your Highway Code. While you’re there, take a look at Sections 185 to 190 for all other rules on negotiating roundabouts.